DM Pulmonology is a favourite of certain MD physicians. Preparing for any DM branch in itself is an uphill task but not impossible.Dm is conducted as NEETDM in India now. For NEET DM specifically for NEET DM Pulmonology , A student needs to have a great motivation, attitude and dedication to Prepare for superspeciality board exams. Recently NBE started online Examinations for DM Courses including Pulmonology. In view of hectic schedule, OPD Duties, Ward Duties, Night shifts there is a great difficulty for students preparing DM pulmonology after MD Medicine . Most students prepare for ther Exams after MD Exams giving themselves at least 6-10 months to prepare. Ideally 12 months would be a nice time for Prepration. Prepration for DM Pulmonlogy would invariably start during Md only . What this does is that it generates a greater focus on the subject. Preparation needs to be goal oriented and foccussed. One needs to put in great efforts . Taking Standard Reference books for Very very important and frequently asked topics is essential. Big Text books , Long Duration fours of study are in most cases not possible for Md Candidates because oh hectic nature of their Duties. Frustration levels tend to get high. But one should always derive respite from Fact that Students Pass Dm Exams and they can be there irrespective of any fact. Our Advice for DM Pulmonology Aspirants would be to take help of best possible Studying matter and attempting Maximum number of Mcqs as much as possible. This helps a student to be in line with examination itself and places him at a big advantage. Medexamsprep and Online Examinations provide the Best and most suitable way of preparation. Online examinations provide new and updated mater, latest updates and Examination like Settings will tremendously boost ones score. Explanations would provide answers for other questions as well. 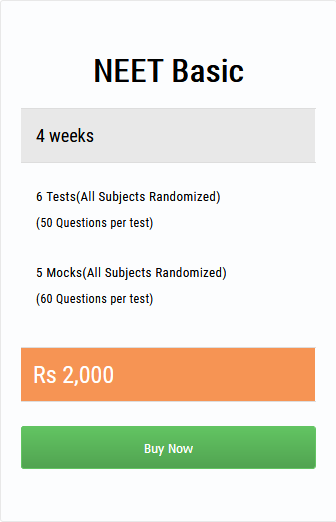 Medexams offers a package of questions in the form of Preparation tests as well as Mock tests. The Package/ programme is well chalked out with questions from different topics of a particular speciality.